As OpenSim becomes more stable, many people are looking into developing new businesses on top of it. That is great! An ecosystem of businesses is exactly what we want to happen, if OpenSim is to fulfill its potential. However, let me add a word of caution in the form of a personal plea regarding doing businesses on top of OpenSim: be careful with what you patent, or you may put yourself out of your business before you even create it by placing obstacles on the way of the infrastructure. Ever wondered why it’s taking so long for a web of virtual worlds / 3D web to emerge? Here’s a fact: there’s plenty of wonderful game engines and MMO platforms that have one thing in common: they are all proprietary. Not only that, but they aim at being the only game in town, all 20 of them. Some of them are very successful in their own businesses, but none of them will become the common infrastructure for interoperable virtual worlds. Infrastructures must be owned by everyone and no one in particular. Enter OpenSim. At this point, OpenSim is one of only two open source virtual world platforms with which one could imagine developing that much needed infrastructure for immersive interconnected virtual worlds to bloom. (The other one is OpenCobalt, a Smalltalk platform; Sun’s Wonderland has just been discontinued by Oracle, and its future is unclear) OpenSim has been created from day 1 with the goal of becoming the Apache server for virtual worlds. It’s still young, so there’s still a few things to do in order to accomplish that goal. Please let us finish! Don’t start creating obstacles by filing patents that are infrastructural in nature. Those patents will be a nuisance, and ultimately useless for your business because one of two things will happen: either (1) what you patent is so important that it will be critically missing from the common infrastructure because of your patent, therefore the infrastructure will never happen; or (2) what you patent can be done in a different way, in which case that other way will make it to the common infrastructure, and your patent-based business will miss the point. I know that investors, before they invest, and managers in large companies, want to know where your own beef is when you’re dealing with an open source platform. 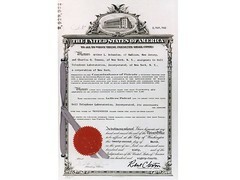 In the US, “beef” usually means protected Intellectual Property in the form of patents. Some large companies are particularly aggressive when it comes to filing patents on absolutely everything for which a patent hasn’t been filed yet, no matter where the idea came from, and no matter the merits of the claims; in those companies, employee compensation is, in large part, based on the number of patents filed, so the employees quickly learn how to play the patent game (this practice is an aberration, and one of the reasons why I decided to take a job in Academia). I don’t have a simple solution for this need to patent, but just this general advice: patent OpenSim-related infrastructure at your own peril. For starters, you won’t gain any friends among some of us core developers (me, at least). You’re putting the whole effort in jeopardy. Second, I can guarantee you that if something you patent is with merit but critical, I won’t stop until I find another way of doing it that doesn’t step over your patent. a) Code faster. Be the first to have the implementation of something important, then you can try to grab the market before the open source solution comes around. But no patents, please — see above. b) Create interesting, engaging services. If people like what you provide, they will come. c) If you really must, patent methods for doing something faster/cheaper/better. Optimizations of published processes are always desired by potential customers. d) Again if you really must, patent specific applications of the infrastructure that focus on the vertical that you are trying to make a business on. Needless to say that this post is my own view of things and in no way reflects any official position of the OpenSim core developers. Published by Diva Canto, in OpenSim. Tagged with business, patents, software. Software patents are generally considered invalid, and if taken to court the said patent would be lost. Well said and, for what it’s worth, I fully support what you are saying. Wondering what prompted you to write this article. Best regards. What folks don’t get is this is like finding a new land and then immediately setting about to strip mine the land for resources. In short get your boots on the ground and think about the quarter after this one for once. You are absolutely right. As OpenSim continues to gain speed, it’s quickly becoming apparent that it’s the infrastructure of the future 3D web (or will evolve into it). That means we’re about to see a massive land grab. Business method patents are weapons of mass destruction when it comes to software. But there are other alternatives, as well. Software can be copyrighted, for example. This doesn’t protect the underlying logic, though, if someone was able to reverse-engineer it or come up with a similar solution on their own. Apple has a business process patent on “multi-touch.” Amazon on “1-Click” shopping. Nokia on the 3G cellphone communication standards. These patents do hurt innovation in the sense that they add a cost to doing business. Apple, for example, has to pay a licensing fee to Amazon to offer “one-click” shopping. They also add court fees — Apple and Nokia are currently embroiled in costly back-and-forth lawsuits about GUIs and 3G standards. However, the ability to patent software also brings in significant early money — investors know that inventors can not only make money by using their invention, but also by licensing it to others. Does it stifle innovation? Hard to tell. The Amazon one-click patent didn’t seem to have slowed down the growth of e-commerce. But maybe if the patenting had started sooner, when the infrastructure of the Internet was still being built, it may have slowed developed. The early Internet was developed by the government (which can’t patent anything). There’s no similar protective umbrella over OpenSim. The Internet also snuck up on people — few expected it to become as important to business as quickly as it did. We’re under no such illusions about the 3D Web. Sure, there are folks out there who say “it’s just a game” and “nobody needs it” but we all have the example of the dot-com boom reminding us how quickly that can change. I frequently talk with potential investors who are scouting around for opportunities in this sector. Whether we see a new flood of patents here probably depends on how the Supreme Court case comes out. Most readers here will already know that in the SW engineering world the old saw “ideas are cheap, realizations are dear” is amplified x1000. My personal experience has been that very very few patent-brandishers do any innovation at all. Apache didn’t need that in 1995 and OpenSim doesn’t need it today. Thanks for this, it needed to be said! In addition, there is the complication that opensim is a global project, and many international laws potentially come into play. Some of the laws on software patents abroad from the US are considerably more draconian. Diva: great post, and I love your position. Never give up the Good Fight. I support Deva’s views on this matter 100%. I have waited and watched OpenSim develop and, with the likelihood of rapid advances through 2010, I am convinced we will see a free metaverse in the not too distant future. Indeed, it’s already building and I think the wannabe grid Barons who never did the real work to make it happen need to think again. They will be known for what they are and the damage they are doing to a resource built on hard work by people that share a common vision. Dare I call them vultures trying to strangle the baby? This core developer agrees with Crista – please don’t patent basic infrastructure, it will cause problems for us all.